How Dieting Can Affect Our Mental Health? What are the Consequences of Dieting on Mental Health? What we eat has a profound impact on our physical & mental wellbeing. Commercial diets can have a decidedly negative effect on our mental health and can even exacerbate current mental health conditions. There is a consensus amongst experts that what we eat has a profound effect upon not just our physical wellbeing, but also our mental health. Embarking upon a commercial diet can provide many health benefits, such as weight loss and an overall healthier body. However, for some, commercial diets produce side effects which are detrimental to their mental health. Although now gaining some momentum, dieting and mental health is a surprisingly underdeveloped field of study. Despite the consensus that certain foods can promote our mental wellbeing, however, GPs are far from prescribing particular diets to treat patients with mental health issues. Let’s consider some of the effects diets can bear upon mental health from the evidence available. The Mental Health Foundation argues there is a strong link between what an individual eats, and how they feel. When it comes to ‘feel good’ foods, or ‘foods to combat depression,’ the internet is littered with examples. The most popular ‘feel good foods’ include oily fish, avocado, leafy greens, berries as well as walnuts. These foods are said to increase brain power and provide the brain with much-needed energy. Getting the right nutrients to the brain is essential for mental wellbeing. A lack of proper nutrients, such as the correct amount of amino acids, vitamins, minerals, water as well as complex carbohydrates can have a severe impact upon a person’s mood and ultimately their mental health. So, we know that food can have a significant effect on our mental wellbeing. So, what if we embark upon a commercial diet. What effects can this have upon an individuals’ mental health? Food restrictions are part of any commercial diet. Many diets sell their product on the basis that ‘you can eat anything’ that ‘nothing is off limits.’ Although this might be true, limitations are placed on particular foods. So, in effect, certain foods are off limits. One big restriction in most commercial diets is sugar. A recent study found that when an individual consumes large amounts of sugar, the result is the production of dopamine in the brain.Dopamine is a chemical reaction in the brain which occurs when something positive happens. This chemical reaction is associated with pleasure and high spirits. Indeed, dopamine occurs during drug abuse and is thus associated with addiction. So, our bodies can become addicted to sugar, and once this removed from the diet, an individual can experience withdrawal symptoms. These can include (but are not limited to) headaches, dizziness, confusion, fatigue, migraines, irritability, anxiety, and low mood. 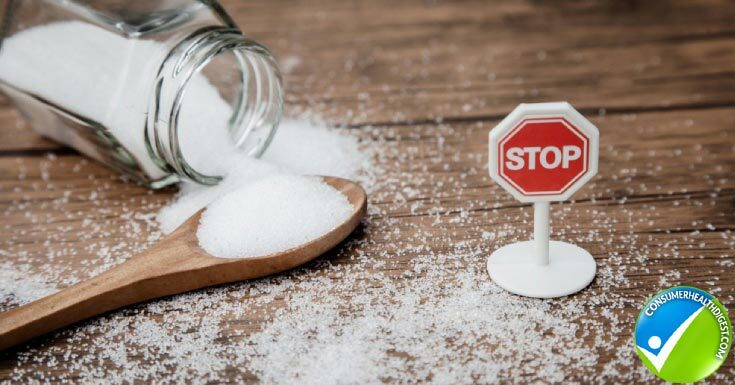 Many people cannot cope with the symptoms of sugar withdrawal and therefore fall at the first hurdle of their diet. For those with existing mental health conditions, such as depression, these symptoms can make a person even more depressed and low. Another common food restriction in commercial diets is carbohydrates. High volumes of carbs can be found in many staple foods, such as bread, potatoes, pasta, and rice. Once an individual reduces their carb intake, similar effects to those experienced from sugar withdrawal can occur. Although withdrawal symptoms are usually only short-term, they can be too much to bear for some people who give up on their diet. Rather than radically reduce or completely exclude sugars and carbs from the diet, a better alternative would be to gradual decrease your daily intake of these food types. Some commercial diets ban or significantly reduced certain foods we deem to be healthy. For instance, a carb reduced diet seeks to remove fruits from the individual’s diet (except for berries in small quantities). Eating a variety of colorful fruits and vegetables has long been recommended by experts for our overall physical health. The fruit has many health benefits and is a staple snack for many wishing to lose weight. Removing these from the diet can constitute something or difficulty for those on a low carb diet as they struggle to find alternative, satisfying, healthy snacks. Furthermore, a recent study has demonstrated that higher consumption of fruits and vegetables (uncooked) have links to better mental health. 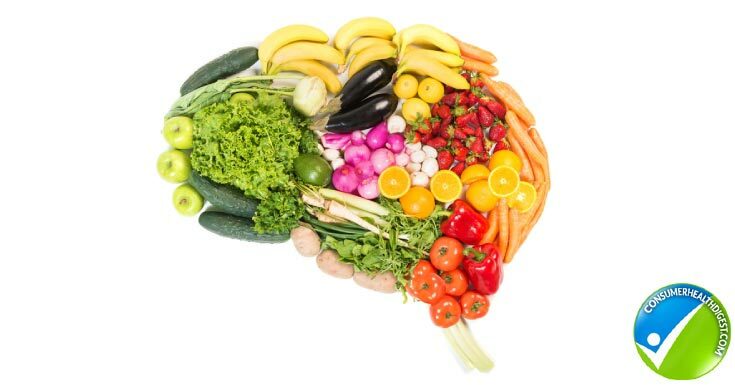 Fruits and vegetables are good for the body and good for the brain. They contain nutrients and minerals that are essential for the body and importantly, for the brain. So, as noted above, the brain requires specific nutrients, and if those are not provided, they can have a negative impact upon a person’s mental health. And so, removing key nutrients from one’s diet can result in low moods and even depression. There are many reasons why individuals abandon commercial diets, and I have outlined food restrictions as merely one example above. 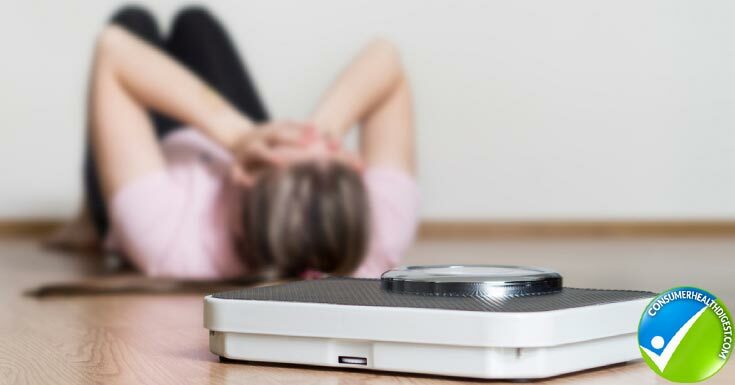 When someone ‘fails’ in their diet, e.g., they eat something which is off limits, take a weekend off or abandon the diet altogether, this can lead to a sense of guilt. This guilt can have a detrimental effect on our mental health. The sense of failure can be very real. This quite often leads to a person returning to their formerly unhealthy lifestyle and piling on extra pounds. This can then become a cycle. Dieter begins the diet, falls off the wagon, returns to their former ways, gain more pounds, and then begin to diet again. Indeed, this is a cycle many dieters are familiar with. Dieting can become a fixation, as a dieter counts every single calorie, a gram of fat or carb they consume. Food intake then becomes the focus rather than the end goal. Dieters can become consumed by the numbers on the scales rather than their overall health and wellbeing. This obsessive behavior can lead to eating disorders such as anorexia and bulimia. Studies have indicated that those with mental health conditions before the start of their diet can exacerbate those conditions once the diet begins. [ S.A. French and R.W. Jeffrey, Consequences of Dieting to Lose Weight: Effects on Physical and Mental Health, Health Psychol, (May 1994), p. 205. ] For instance, those with anxiety may experience an increase in symptoms. Also, the low mood that can result from food restrictions can increase symptoms of depression. However, the introduction of certain foods in a particular diet may, on the other hand, improve mental health (e.g., fruits and vegetables). Rather than embarking on a commercial diet, or a succession of diets, to lose weight and improve overall fitness, lifestyle changes are the key. Diets are often quick fixes rather than long term solutions. Quite often, a dieter loses a significant amount of weight in the initial stages of a diet. Diets, however, are hard to maintain in the long term and thus the individual is at high risk of putting weight back on when they leave the diet. Or yoyo dieting! If you want to lose weight and improve your health, get back to basics! To lose weight, you need to burn more calories than you consume. It’s that simple! According to advice from the NHS, this often means making changes to the way we eat and getting more exercise. Exercise is greatly beneficial to overall health and also mental wellbeing. Rather than perceiving weight loss as a sprint, we ought to consider it as a marathon. By making lifestyle changes, we can shed the pounds and keep them off. By staying away from consumer ‘quick fix’ diets which restrict the intake of certain types of foods or removes them from the diet altogether, we reduce the risk of side effects. Side effects which can have a negative impact not only on our physical wellbeing but also on our mental health.